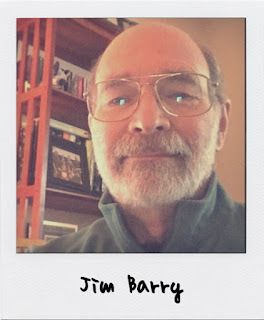 Jim Barry is the administrator of the Barry DNA Project and a member of the Earls of Barrymore Project, the first effort to do DNA testing of the remains of a member of the Irish aristocracy. Jim has been an amateur genealogist for more than 30 years and a genetic genealogist for more than five. Educated as a social scientist, he was a professor of politics at George Mason University and a researcher in conflict resolution at the University of Maryland. Jim has published in the fields of international politics, negotiation and artificial intelligence. His family is from Barryroe, County Cork. My interest in genealogy began more than 30 years ago when my parents passed away and I wanted to learn about their families, which were rarely discussed when I was young. It was only in the past 5 years or so that the combination of online records and DNA testing enabled me to trace all of my immigrant ancestors to their places of origin. In the process, I discovered that my Barry ancestors were from a tiny village in West Cork and that I had other ancestors from Armagh, Cavan and Down. My excitement was such that I have continued to explore my family roots and have helped many others to find their families of origin. I first got into genetic genealogy as one of the beta testers for the Ancestry.com autosomal DNA test. Shortly thereafter I began Y-DNA testing with FamilyTreeDNA and founded the Barry DNA Project in 2013. That same year, in collaboration with other genealogists and forensic scientists, I established the Earls of Barrymore DNA Project, the first effort in Ireland to test the remains of a deceased member of the Irish aristocracy. One of the most important Anglo-Irish families, the Barrys are found today throughout Ireland and the countries of the Irish Diaspora. Yet much remains unknown about this prominent family. The Barrymore DNA project uses the tools of modern anthropology and genetic science, coupled with genealogical research, to address these mysteries and learn how the Barrys of today relate to their aristocratic forbears. This presentation describes the results of forensic analysis and DNA testing of remains from the Barry mausoleum in Castlelyons, Cork. It details initial conclusions of the project, the challenges of ancestral DNA testing and future directions for research.